Even your pets will love living in Canton. 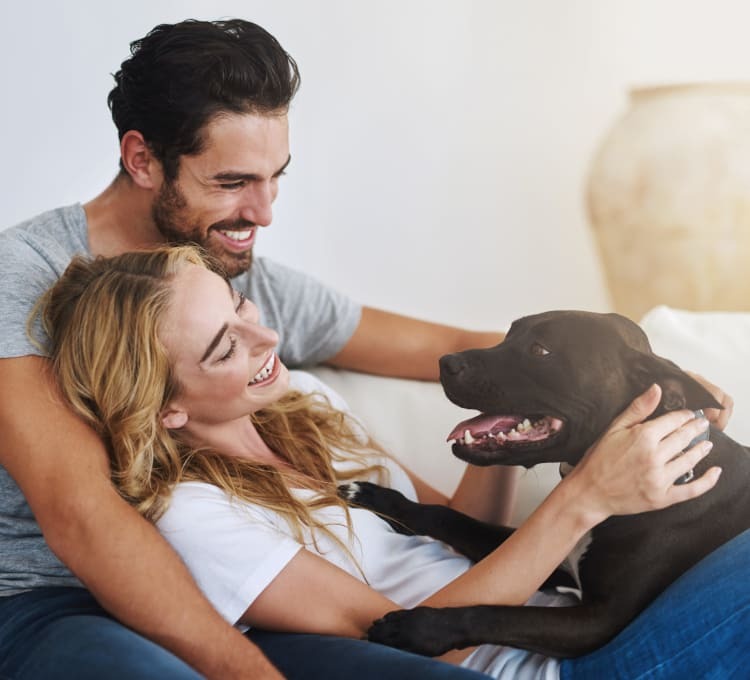 They’ll enjoy playing with their friends at the on-site dog park, and you can feel confident that they can receive tender loving care at any number of local veterinary clinics and pet spas. We know it can be tempting to adopt one after another into your family, but please limit the number of pets in your apartment to two. Watch their weight as well, as dogs cannot be more than 65 pounds. A nonrefundable $250 pet registration fee is required for each dog or cat, and the monthly pet rent is $25 per cat and $50 per dog. All pets must be house trained, and we require that you provide us with a photo of your pets’ lovable faces for our records. We know your pets will feel right at home here, and we’ll look forward to welcoming them into our Park West community!